A Dwolla merchant account is required for this integration. 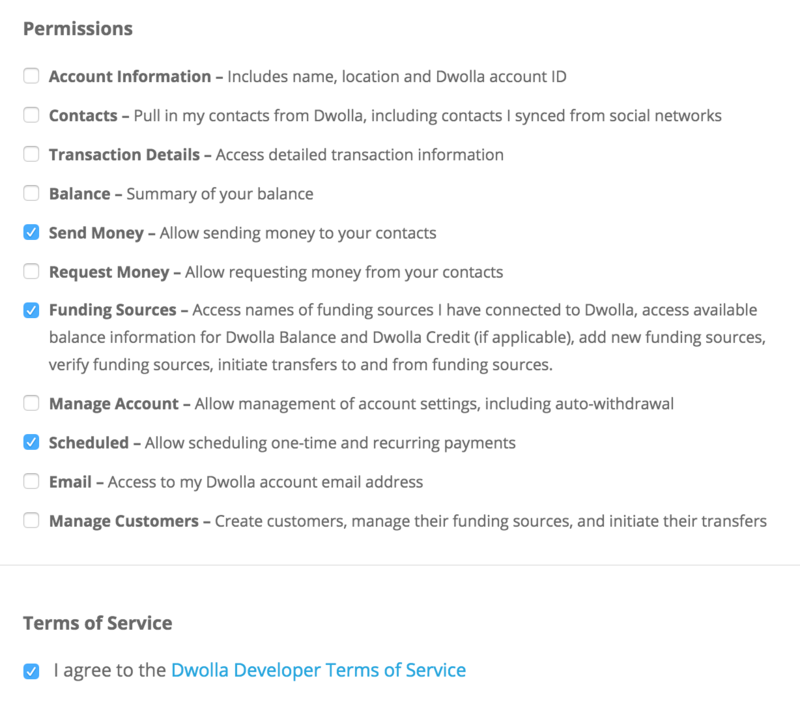 Sign up for a Dwolla account if you don’t have one yet. Web Hook Notifications are essential in identifying which form submissions have had their payments cleared (if paid with bank account). 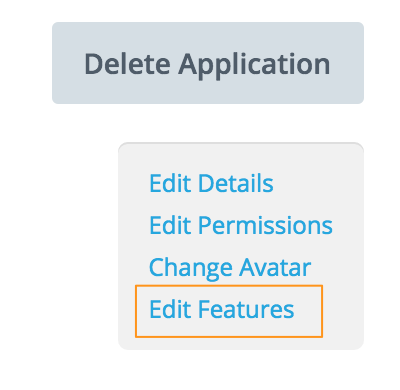 That's it, you have now fully configured the application! 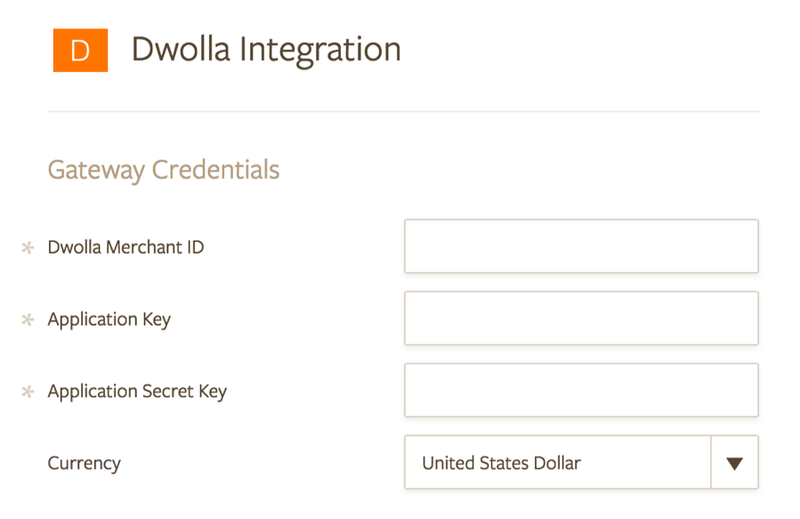 Integrate your payment form with Dwolla by providing your Account ID, Application Key, and Secret to the integration wizard. Refer to our payment forms section to learn more about payment types and other payment options such as shipping, coupons and taxes. Got more questions? Head down to our support forum to get assistance. 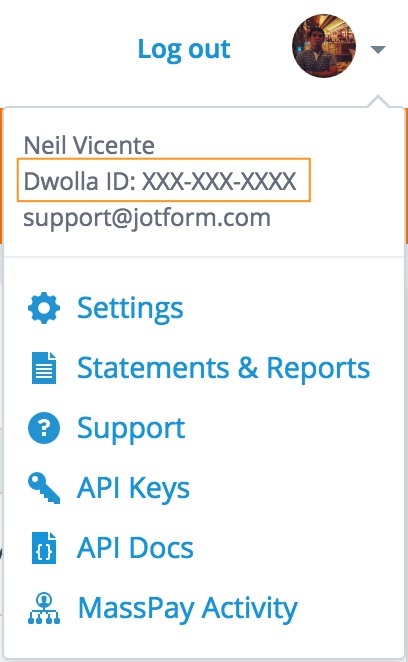 After following the procedures to setup Dwolla integration with JotForm, the last step describes Webhooks. After Edit Features, I get a message "...webhooks configured on this page only apply to API V1." The link to V2 documentation leads to a confusing description of webhook syntax, but no useful examples. It says "Integrate your payment form with Dwolla by providing your Account ID, Application Key, and Secret to the integration wizard." Now where do I find the integration wizard?? Developers: Invalid client configuration. Refer to OAuth documentation at docs.dwolla.com for more information. 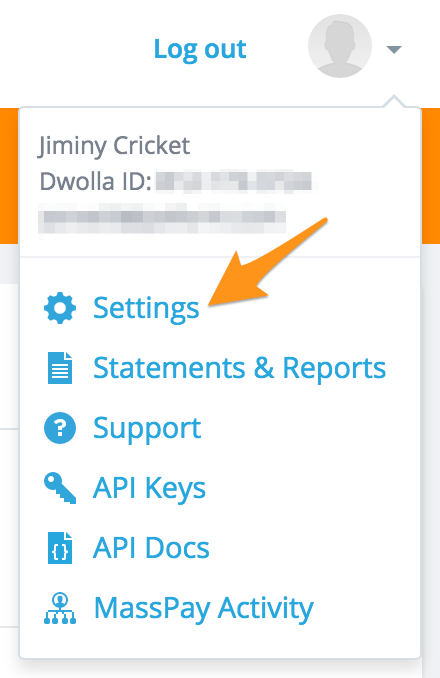 I am having trouble getting an option for "recurring payments" with the JotForm and Dwolla integration. Please assist. I keep getting this error even after following your instructions to the T.
Invalid application credentials. Please contact form owner.